About | Makeup to Go! 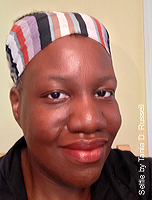 I’m Tania D. Russell and I am the lead artist, head Blogstress, and founder of Makeup to Go. So what IS Makeup to Go? – I love to write/talk about makeup and the beauty biz. – I love to teach people about makeup and the beauty biz. 1. What Is This Blog About? Historically Makeup to Go! blog has focused on makeup and makeup artistry from the standpoint of a working media makeup artist. Makeup to Go! covers product reviews, how-tos and industry events, but we also discuss art and influences, makeup history, and the Art of Being a Freelance Makeup Artist ™. Hence our tagline: “…dedicated to the Art and Craft of Makeup”. 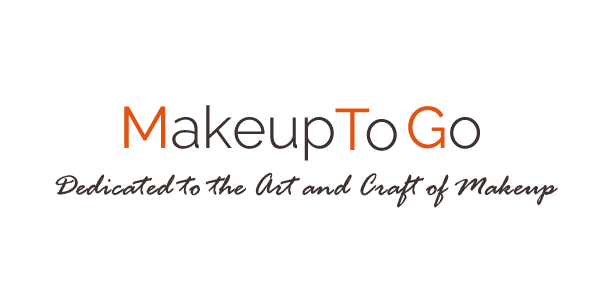 You may notice that Makeup to Go blog is a bit different from many beauty blogs, but our goal is the same and that is to be FUN and informative for everyone from the working pro artist to the complete makeup novice. 2. Why the name ‘Makeup to Go!’? Truth be told – I was thinking about the Tribe Called Quest song “Lyrics to Go”. 😉 But really, I just wanted a fun name. 3. Are all these pictures on your site your work? You can visit our Disclosures page for the full Copyright and Photo Usage story along with other pertinent info about the site. 4. Who Are You and What Are Your Qualifications? I am a career makeup artist of over 15 years ( click here to see website ). I began my career in films (student films, indies, etc.) and after realizing that I do not like special FX and that the film world is not for me, I came back as a makeup artist for print and video (i.e. – commercials, music videos, magazines, advertising, catalogs, etc.). Since that time I have amassed an extensive professional resume. 5. How did you get into doing makeup? Well, I went to UCLA and at the time I had a lot of friends who were film students. After a while they started asking me to do makeup for their projects and then when they started to land their first paying jobs they hired me for my first paying jobs. The rest, as they say, is history. 6. You keep saying you’re a “media makeup artist”. What does that mean? By “media makeup artist” I mean that I am an on-set artist for Print, Video and Film as opposed to working in a salon or on weddings, etc. I would also classify myself as saying I provide makeup services for the Entertainment and Advertising Industries. 7. What Else Do You Do? – I am a singer and I come from a family of musicians. – I have been baking since I was 4 years old, and I have a side baking biz, TDR Bakes. – I am an avid sports fan (nba basketball, FIBA basketball, soccer, etc.) and a Massive. Lakers. Fanatic. – I am a vegetarian and a foodie. – I surf poorly, but I love going out anyway. Thanks for visiting Makeup to Go! We hope you enjoy your stay!